Not sure what you need? Try our “Find the Right Pump” search. The GT-226-201 adapter for Grey CAPS with 39.51mm threads allows the pumps to be used on containers which feature a Rieke® FlexSpout® with a 39.51 mm threads, commonly called 40mm. It may have a black or a grey closure. 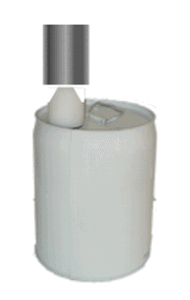 This eliminates tipping of the container and associated spill hazards. Please specify chemical or GT Pump to get the correct gasket. Made in USA. 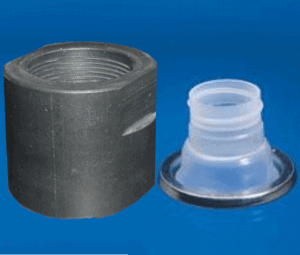 Tubing is available for your remote discharge nozzle or other applications. Please check compatibility with your liquid by reviewing the PVC Tubing Compatiblity Guide and the TYGON Tubing Compatiblity Guide. We offer Tygon Chemical Resistant 2375 tubing, Tygon 200SE which is lined with FEP, and Tygon 4040 which is gas and oil hose. All hoses are 1/2-inch ID. A remote discharge tap can greatly extend the versatility of GoatThroat pumps. Ideal for transfer of liquids and chemicals from large drums, the remote nozzle allows precise, one-hand flow control, leaving the other hand free for work. The thumb-operated tap dispenses liquids as easily as using a faucet. Pressurized liquids can be easily transferred to levels up to 6 feet higher than the container, which is impossible with traditional gravity-fed liquid transfer methods. 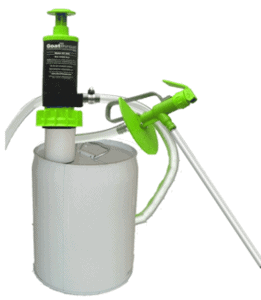 And our patented drip-proof design helps keep work areas clean and prevent potentially hazardous spills. 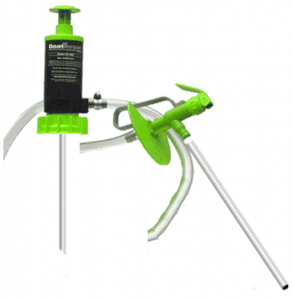 Remote discharge taps are available singly, or with several hose options. RT 100/200/300 and body barb fitting are made of polypropylene. All hoses are 1/2-inch ID. Offered are: Food grade PVC, Food/Chemical Grade Tygon 2375, Gas and Oil Grade hose; and finally PTFE and Tygon 200SE PTFE lined hose for very aggressive applications. 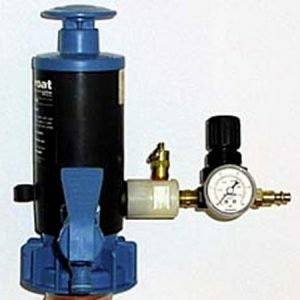 Special Features: The SCP line of Pumps allow class 1 and 2 flammable liquids to be pumped using GoatThroat® Pumps’ unique engineering control technology. 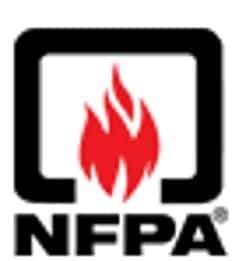 The pumps meet the new NFPA30-2015 standards. Applications ranges: Alcohols, flammable solvents, volatile hydrocarbons. SCP-6500 Pumps are engineering controls for fluids which are designed to minimize the hazards associated when transferring flammable and combustible liquids. 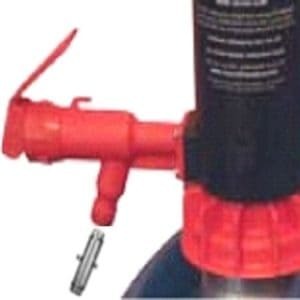 Featuring a grounding wire and a bonding wire and made with conductive plastic so there is grounding of the liquid, the pump, and, with correct bonding, to the container. Created for most demanding safety programs, these pumps meet NFPA 77 which requires that the path to ground must prevent the accumulation of static electricity in conductive equipment. The SCP-6500 pumps feature the same breakthrough technology which has made GoatThroat® the most trusted name in transfer pumps. 137’ or the ‘ATEX Workplace Directive’), Directive 94/9/EC (also known as ‘ATEX 95’ or ‘the ATEX Equipment Directive’ and also meet Great Britain’s Dangerous Substances and Explosive Atmospheres Regulations 2002 (DSEAR), The SCP pumps are not subject to the Pressure Equipment Directive(97/23/EC) since the design pressure is identified below the applicability limits for the PED (97/23/ EC) of 0.5bar.